We decided on a mermaid theme this year since my daughter’s favorite time is bath time. We actually got a large above ground pool to use and have a “under the sea” party but that didn’t really work out. (My husband got very sick and didn’t get well until a few days before the party so we couldn’t put up the pool.) 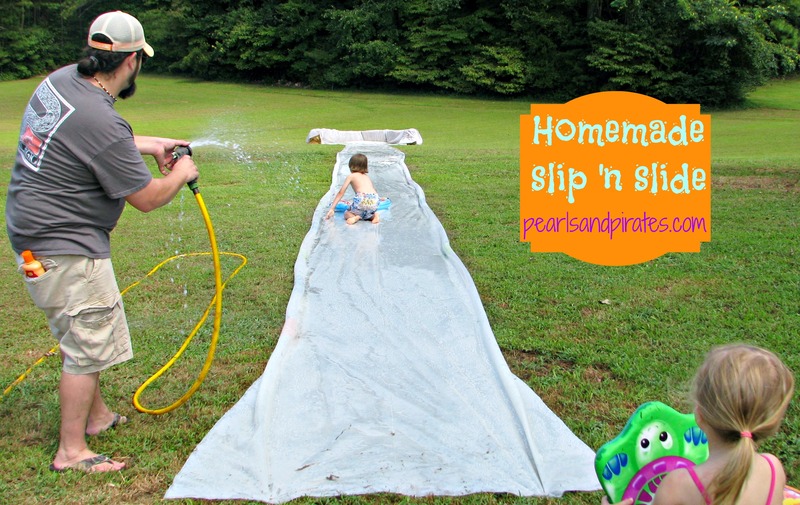 However once he was finally feeling better we decided on making a home made slip ‘n slide. It was a HUGE hit! We used Large sheets of plastic from Lowes, pool noodles for sides, cut down wire coat hangers for stakes and at the bottom another roll of plastic and hay bales for the catch pool. We have a naturally sloped yard so with some baby shampoo and water it was ready to go. We had 15 kids and 2 adults try it out and it held up great! Once everyone was pretty much exhausted we headed inside for cake! The ombre mermaid cake was made especially for the Birthday girl. I made my own fondant using Wilton’s recipe about 5 days before the party. I separated the one batch into 3 balls. Then added a different color blue to each one and rolled them up tight in saran wrap. 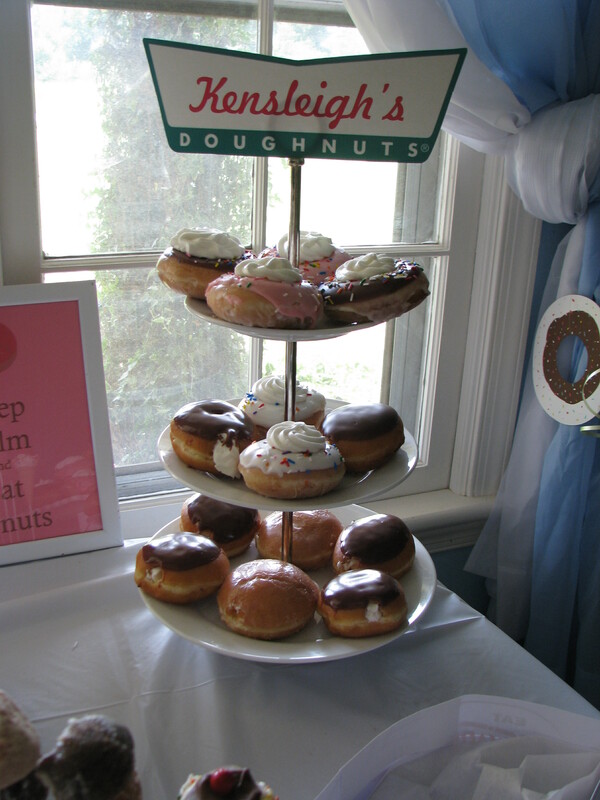 On Friday, (the day before the party) I baked two 6″ circle cakes. While they were baking I rolled out the fondant and made my mermaid “scales”. I used the opening of a Wilton decorating tip like a cookie cutter. After the cakes were cooled and had been in the freezer for 20 minutes I stacked them, then I “dirty iced” them. (Which means a thin layer of icing, nothing pretty. It’s being used as a glue for the scales.) Then I started applying the scales into I got to the top. Now being completely honest I hadn’t thought this far ahead so when I got to the top I was pretty unhappy. Luckily my husband said “Add sand” and he saved the day. So I added a bit more icing to the top since it started drying out and while it was still wet I threw on some sand. 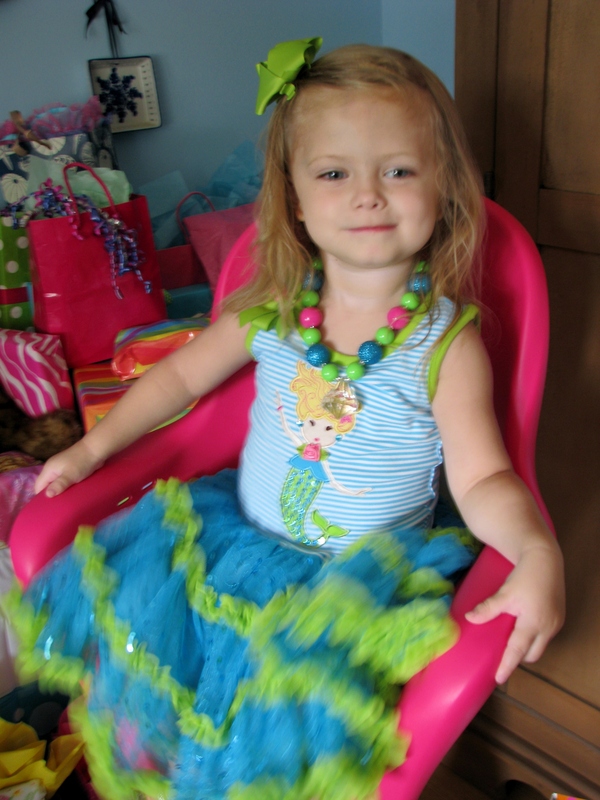 I also had some pearl sixlets candy that I added and those were the Birthday girl’s favorite part. The number 3 candle came from Wal-Mart. Since the party was at 3pm we didn’t do lunch but I did lots of snacks. Fruit- The fruit was just a medium sized watermelon that my husband cut into a “pail” shape and hollowed out a bit. Then I used cookie cutters and cut out honeydew, cantaloupe, & watermelon. Then I used the scraps and cut cubes and added them all in. I had some blueberries and grapes and threw them in too. In another picture you can see the grapes threaded onto a bamboo skewer. We labeled them ‘seaweed grapes’. Cookies– You can see the sand recipe came in handy again as a bed for the sea star cookies. I cheated and used refrigerated cookie dough and rolled it flat. Then I cut out my shapes and baked. Once cooled I used this recipe http://www.sweetsugarbelle.com/2011/07/outlining-and-filling-cookies-with-royal-icing/ for the icing. It was really yummy and I had lots left over. Sand Pudding- The sand pudding was the sand recipe once again (Again I made one giant batch and used it for everything) and a pudding recipe. http://manouvellemode.blogspot.com/2011/08/sand-pudding.html I used her pudding recipe and then just layered each one over and over. Sandwiches- The peanut butter & jellyfish sandwiches were just regular sandwiches and I cut them out using the same cutter I used for the cookies. My husband sure enjoyed eating the scraps from these. Jellyfish juice- Using 2 packages Blue Raspberry Lemonade unsweetened kool-aid follow the directions on the back. Once mixed add two frozen Pina Colada Mixes and stir well. Then fill to the top with Sierra Mist. I think I used about 1 1/2 cans. If you are using a container like mine you need to strain it because the Pina Colada will clog up the spout. If you are using a pitcher to pour it then you can half the recipe if needed. I used recycled Starbucks glass bottles to drink from. The water bottles to the side were Deer Park brand that I peeled the label from. Then I downloaded a water bottle template, inserted my clipart from Etsy, printed and attached with packing tape. I refrigerated them until right before the party. Veggies- I will tell you no one in my family is really “veggie” people. However I know many people are so we used cucumber and carrots for our “sea cucumbers” and “crab legs”. Sea foam- COTTON CANDY!!! 🙂 Seriously what kid or adult for that matter doesn’t love cotton candy. There are a few things you can not see much of in these pictures. The large white bowl held Pirate’s booty, the Cheetos were labeled Mermaid Munch, the cheese triangles were Shark Teeth. To the right of the center picture you can see the sand dollar cookies. Again I cheated and used refrigerated dough that I rolled into balls and pressed flat. Then I added 5 sliced almond pieces to the center and sprinkled them with cinnamon sugar. They looked just like sand dollar’s and they were delicious. There was also a clear bowl full of gummy sharks. In honor of shark week it was labeled Shark attack. 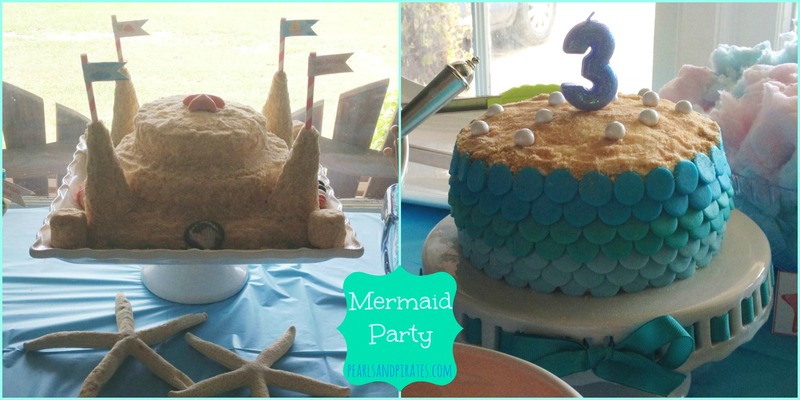 Cupcakes- I loved the mermaid tail idea when I first saw it on Pinterest. http://mrsdork.blogspot.com/2012/01/mermaid-tail-cupcakes-tutorial.html I just knew this is what I was going to use for the whole party. However after making my first batch I knew that I was going to need to have a plan B. 2 of them broke and honestly it just took forever to pipe them all out. Maybe if I had made the tails much earlier I would’ve been in a better position but as you can see I had a LOT on my plate and just didn’t have the time. I printed out 6 templates to a page and made 4 pages. I had 12 survive. So I made those 12 and using my sand again I whipped up 12 sandy ones also. I made the seashell candy molds in advance and truly forgot about them so I was glad to incorporate them in too. I had one happy little mermaid! As you will see from the pictures below we ended up with a beautiful party. Everyone loves donuts and my daughter was beyond excited! There are even still some hats hanging around. 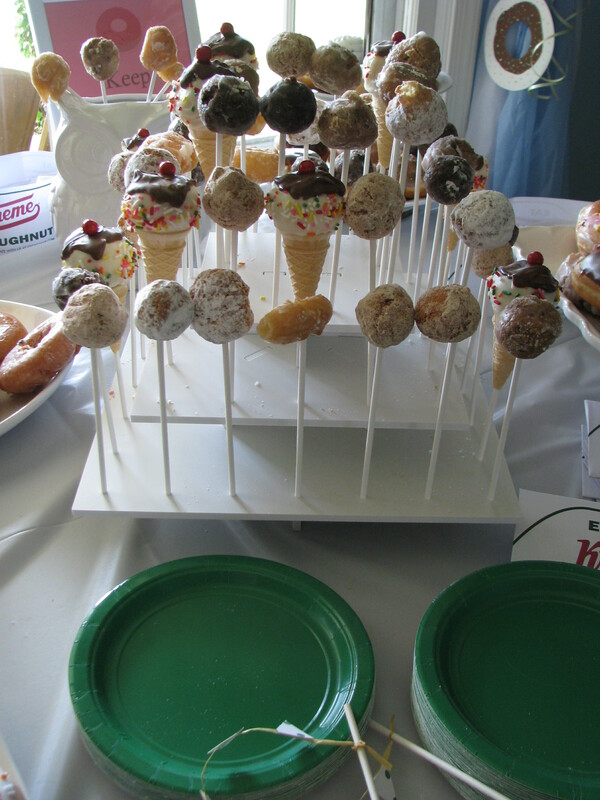 Instead of making a cake we used all doughnuts. The birthday girl wouldn’t have it any other way. 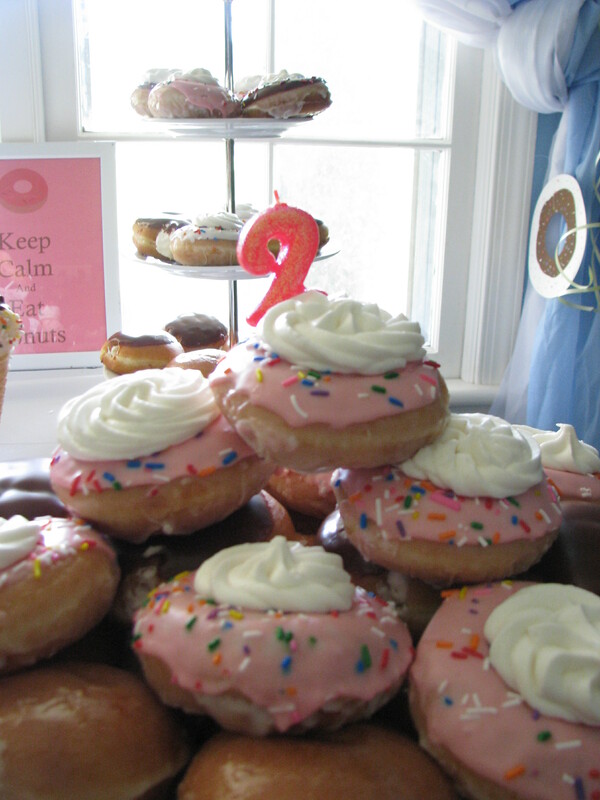 Luckily for us Krispy Kreme was running a pink doughnut promotion that month. 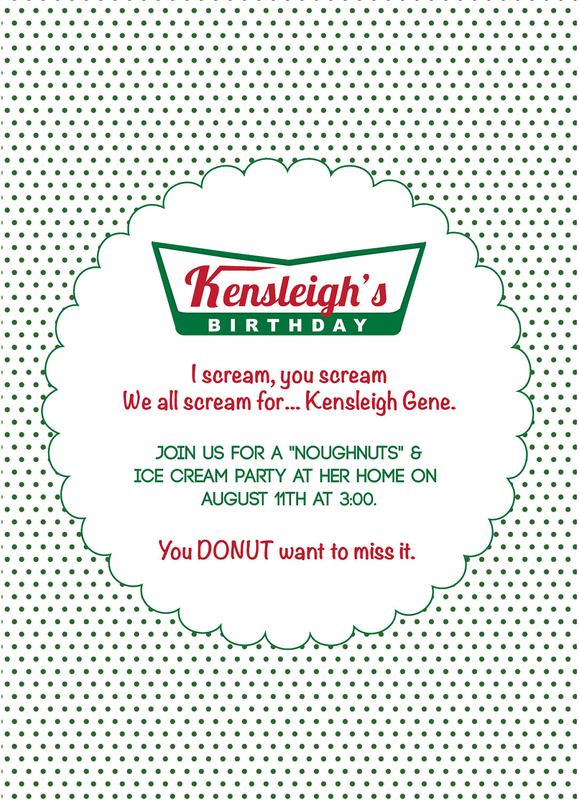 For the sign I uploaded the Krispy Kreme image. 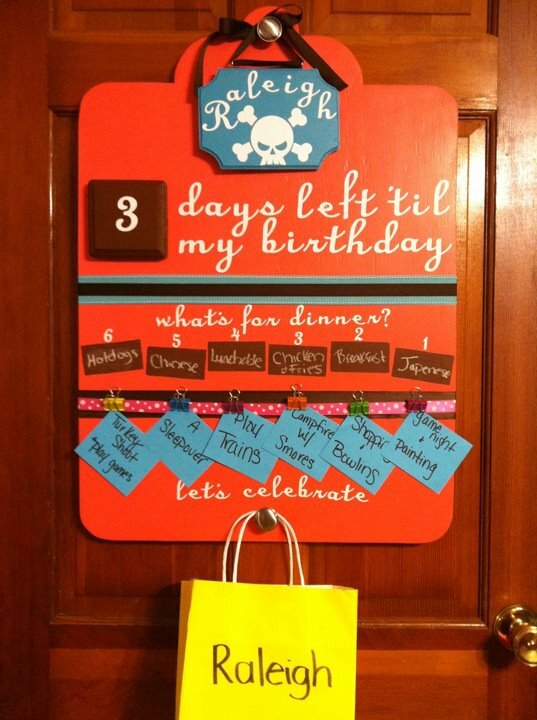 I uploaded it to Paint and filled in the top with white so I could add my own writing. Then I goggled their font and found one very similar and just added my daughter’s name. This was our drink buffet. 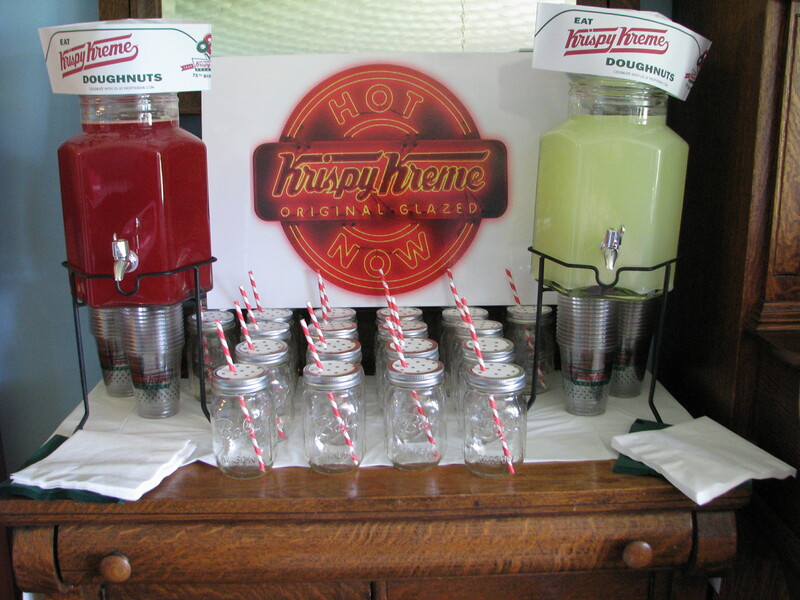 I bought the plastic cups from Krispy Kreme. For the mason jars I used white paper with green dots. Then I punched a hole in them for the red striped paper straws. The sign was made by staples. 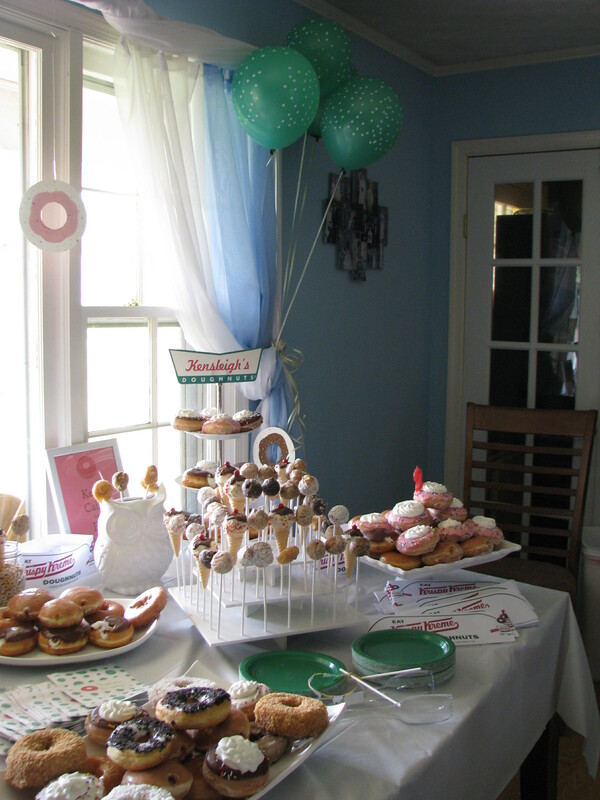 I googled Krispy Kreme images and found 2 I liked. Then they put them on the boards.